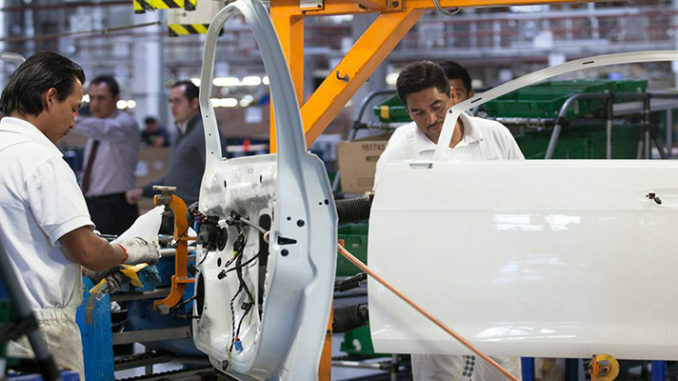 Made in Mexico: An emerging auto giant powers past Canada. The importance of NAFTA cannot be overstated, which is why uncertainty over its replacement, provoked first by Donald Trump as a candidate for the presidency and now by the Democrat-held Congress, is so dangerous. NAFTA was conceived as a mechanism through which the Mexican government obtained a kind of certificate from the U.S. government as a guarantor that the rules of the game would be preserved, that an open trading regime would be maintained and that the commitments made in the agreement would be strictly adhered to. In this sense, NAFTA constitutes an anchor of stability, a source of certainty that enjoys international support and recognition. This certainty is key both for internal confidence and for attracting foreign investment. Mexico proposed the trade and investment agreement in 1990 after having gone through a series of economic reforms that streamlined the federal government’s finances, liberalized the economy and modernized its regulatory framework. The objective was to attract investment in order to foster fast economic growth. However, potential investors, both domestic and foreign, worried about the country’s propensity for changing the rules, carrying out unlawful expropriations and making capricious decisions without notice. Through NAFTA, Mexico’s government committed to preserving the rule of law implicit in the agreement and submitted itself to the procedures established by Chapter 11 on dispute resolution. The result was an extraordinary source of certainty for investors, which led to the establishment of new ventures, plants and operations in the country. Mexico’s expectations for attracting investment were far superior to what actually materialized, not because of NAFTA, but because of a new player in the field to which neither the Americans nor the Mexicans had given even the slightest thought: China. But over the past quarter century, NAFTA fulfilled its political role beyond expectations. Mexico accepted dramatically limiting the latitude of future governments for making changes to the basic framework of economic policy (the open trading regime) in the event that a president with a different economic philosophy came to government. In this regard, NAFTA was fundamentally a political act, a proxy for a lack of checks and balances that are present in the United States. It is thanks to NAFTA that Mexican economic policy was not altered in the midst of the massive crisis of 1995. 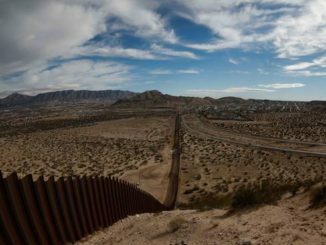 In contrast with the geopolitical clarity that motivated the first Bush administration, Trump’s rhetoric and actions altered Mexico’s politics in a dramatic way. First, by putting the existing NAFTA in doubt in 2016, it created a political vacuum that was filled by the winner of Mexico’s presidential contest in 2018, Andrés Manuel López Obrador. Second, and most importantly, it opened the way for a series of decisions that slowly but surely will eliminate or neutralize autonomous regulatory agencies that were created over the past two decades in energy, competition, telecoms and, now, the Supreme Court. Put simply, NAFTA’s erosion has had an immense impact on Mexico. Despite the rhetoric, NAFTA has fulfilled its core objective of supporting Mexico’s political stability through the creation of a framework that made it possible to attract investment and for about half the country to grow above 6% and, in some states, such as Aguascalientes and Queretaro, at Asian rates. Surely, NAFTA did not transform all of Mexico, for that would have required much deeper reforms for which the Mexican establishment was not ready. In fact, NAFTA (and migration to the U.S.) helped preserve the status quo, an unintended consequence of a trade and investment agreement that nonetheless served its core purpose. One could speculate what might have happened had China not become such a powerful force in the world trade arena, but the one certainty is that Mexico lost significant opportunities as a result. The USMCA, which resulted from last year’s renegotiation of NAFTA, updates some key components – particularly as it incorporates rules for intellectual property, online commerce and the like – but dramatically waters down the key political element from Mexico’s vantage point, Chapter 11. The challenge for Mexico lies in the fact that it has not developed internal sources of certainty that would make it less dependent on NAFTA or the USMCA to attract investment and maintain stability. That challenge would have been easier to face with an administration less willing to undermine each and every reform that has been carried out over the past three decades. However, without either NAFTA or the USMCA, the risks, for both the U.S. and Mexico, would be staggering, precisely the opposite of what the Bush administration hoped to accomplish. Luis Rubio is chairman of the Mexican Council on Foreign Relations for Americas Quarterly. He writes a weekly column in newspaper Reforma, and is the author and editor of dozens of books. His most recent book is A World of Opportunities, published by the Wilson Center. 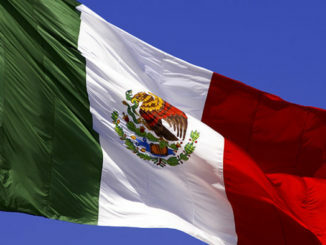 Energy Reform in Mexico: Next Step for the North American Energy Colossus?